Patrick Costello was born in Ireland in 1819. He married Helen Gagen in 1848 and arrived in Chicago around 1860. The Costellos lived at what is now 3236 S. Ashland Avenue in 1870. Patrick died in 1907 and is buried at Mt. Olivet Cemetery with his wife, who died in 1903. For further details, contact the Chicago Genealogical Society. 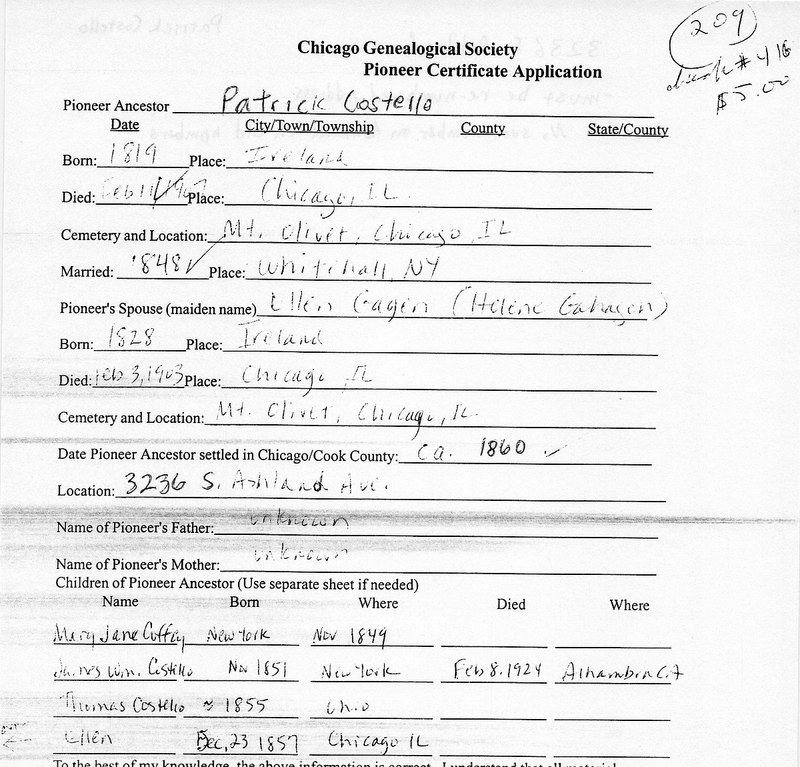 Patrick Costello is Pioneer Ancestor number 209.